Awaken Your Life Power, Inc.
Ilia Blandina CNM ARNP bestselling and award winning author of Give Birth A Chance: How to Prepare for an Empowered VBAC. Her first book was published for Amazon Kindle in December of 2016, quickly becoming an international bestseller on the first day of the book launch. Her book was featured as one of The Best Pregnancy Books of 2016 by MotherRisingBirth.com. Ilia also was a featured speaker at the ECO Baby Expo 2017. She then became the recipient of 2017 International Book Award Finalist in the Health: Women's Health category. Ilia has been practicing as a professional nurse midwife since 1994. She received her Bachelor of Science in Nursing with Honors from the University of Florida in 1985. After four years of nursing practice in the pediatric ICU & neonatal ICU she transferred to the Labor & Delivery unit at Shands Hospital in Gainesville Florida and continued her studies at the University of Florida, earning her Master of Science in Nursing degree by 1994. She has varied practice experience ranging from rural to urban settings, helping to open a birth center in North Carolina to bringing more natural experiences to hospital birth settings. She has attended over 5000 births in her midwifery career. She has held academic appointments as Clinical Instructor at Nova Southeastern University College of Nursing, University Of Cincinnati College of Midwifery, and Frontier Nursing University College of Midwifery. In addition, she is a member of the American College of Nurse-Midwives (ACNM), AAMET International, DONA International, ACEP and APPPAH. She is the founder of Awaken Your Life Power, Inc. (2011) a company devoted to inspiring people through their life journey and has created online communities for inspiration and educational support. She produced & hosted the Awaken Your Fertility Summit (2012). She has always been fascinated with alternative medicine and has studied herbal remedies, aromatherapy, metaphysics and Energy Psychology. 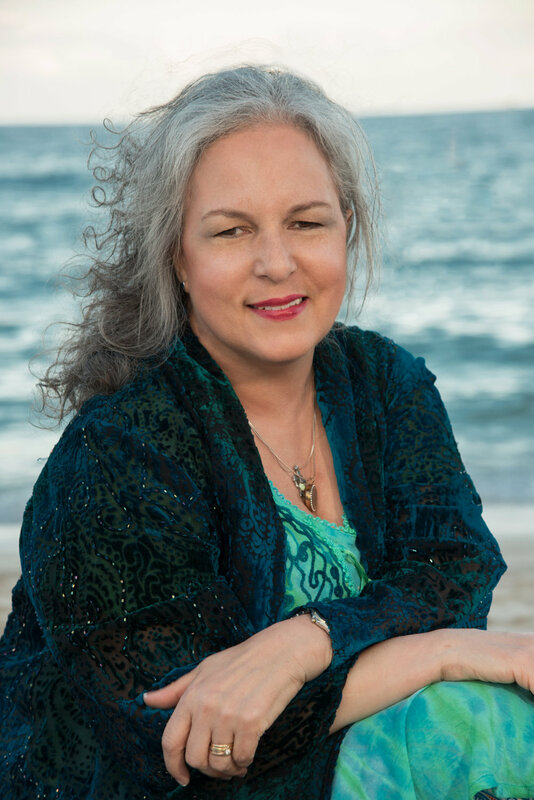 Her study and certification in Emotional Freedom Techniques (EFT) and Matrix Re-Imprinting led her to develop the process of Childbirth With Grace®, a program that helps women shed their fears around birth.She shares her childbirth education knowledge online through social media. You can find her sharing her expertise and inspiration on Facebook, Instagram (@GiveBirthAChance) and YouTube. Through her years in midwifery practice she has found that overcoming your fears regarding your birth journey is the most important area of childbirth education especially if you have had a cesarean section and now want to plan for a vaginal birth after cesarean (VBAC). Ilia has been married since 1981 to a wonderful husband and together they have been blessed with the birth of 4 boys, 2 vaginal births in a hospital that started out in a birth center, 1 cesarean section and 1 VBAC at home! Both as a midwife and mother she has walked the path of her clients which has created a deep passion for her work to help women become prepared for a VBAC and to teach C-section prevention techniques. Click the button below for to become a Patron!